Mr. Miyamoto, can you talk about your involvement in the animated Super Mario movie? Is the objective merely a cross-media marketing effect, or do you want to try making a movie to express something you cannot express in games? 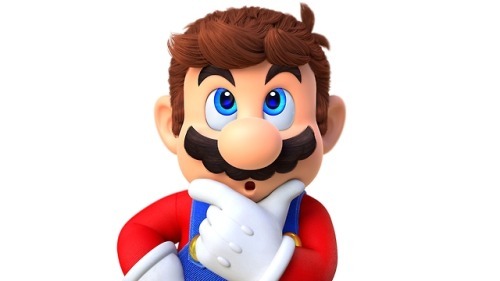 A6 Miyamoto: I’ve been considering an animated film for many years now. There has long been talk that Nintendo could make a Movie because “making a game is like making a movie.” But they are completely different to me. Interactive experiences are completely different from non-interactive media, and to make a movie I want a film expert to do the work. Thinking that way, I have talked with all sorts of different movie directors and producers, and eventually I was introduced to Illumination via Universal Parks & Resorts, with whom we are developing theme park attractions. As a producer, Chris Meledandri (Illumination’s CEO) is noted here for movies like Minions and Sing, but he is a veteran with a ton of experience, including the movie Ice Age and stints at companies like 20th Century Fox Animation. When I talked with Chris, he said he had read a lot of interviews with me and felt we had a similar approach to creation. Talking about our similarities, we clicked and decided maybe we should do some kind of collaboration. We started our conversation over two years ago, and finally reached the stage where we could make an announcement. Chris is extremely cost-conscious and time-conscious in his quest to make successful movies. We decided to try making a movie together, and distributing the completed movie globally through Universal Pictures. We’ve talked together and share the feeling that if we can’t make something interesting we’ll just call it quits. But we’ve already met a number of times to hash out the screenplay, our talks together are progressing, and I hope to make an announcement once we’ve ironed out some things like the schedule.